Last night Jack, Mom and I were lucky enough to see an advance screening of a movie called "Up." It is a Disney Pixar movie and it comes out in theaters tomorrow. Of course when I see any movie before it comes out in theaters I think back to how you got to see Harry Potter and the Pokemon movie because of the nice people at the studios. 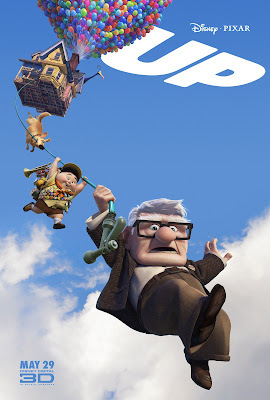 Up has a truly wonderful love story at its center. It also deals with loss. It made me think about the people who I love and who I've lossed. Which is another way of saying it made me think of you. Even though I was smiling and laughing for most of the movie, there were a bunch of times where a few tears started rolling down my cheeks. Without naming names, the other two people with me were affected the same way. Again, without naming names, the person who I was with who isn't Mom, was really moved. I think since he doesn't talk about you to anyone (like I talk to Mom or friends), sometimes his emotions will just burst through. It doesn't happen very often, but I think something like a movie can make that happen. That's why we have art - to help you think and help you feel. Sometimes it helps you "access" feelings you can't normally reach. I'm glad we saw this movie. I'm sorry we saw it without you. Here is another picture of Stacy with Alicia. I couldn't help wondering what Stacy's parents were doing after 7:30 pm last night. You take your child off life support and then what. Do you go to a movie? Mom had an idea that we would go drive around Minneapolis and visit some of your favorite spots while eating some of your favorite foods. We ended going out for Chinese food. Everyone. Your grandparents, aunts, uncles and brothers. I think that may have been a mistake. There is one funny story from that meal that I will tell you one day. But not now. I am sure that Stacy's parents are in shock right now and just going through the motions. Get up. Get dressed. Brush teeth. Cry. It is a very long road ahead. I've said this to you before, but if you see that little guy - take care of him. You always looked out for younger kids. Part of what made you so special. Love you so much and I am glad to be back writing to you. The conversation that I have with you in my head never ends. Even if it doesn't show up here. Hen, it has been so long since I've written. 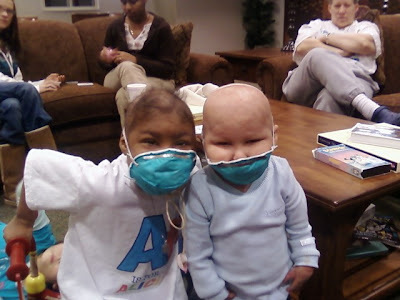 I wish I wasn't writing to tell you this, but the little fella on the right, his name is Stacy, well, he died tonight. He had Fanconi and his parents took him off life support at 7 pm. We know Alicia, his buddy on the left. She got a great Hope for Henry birthday party and gift. I feel terribly sad for Stacy and his parents Michelle and Mark. They had to do the unthinkable tonight and help Stacy die. Since the beginning of this journey I have always tried to share all the good things that happen and the hardest parts. Today is one of the hard days. One of our FAmily members will be taken off of life support tonight at 7pm. His name is Stacy and he is five years old. 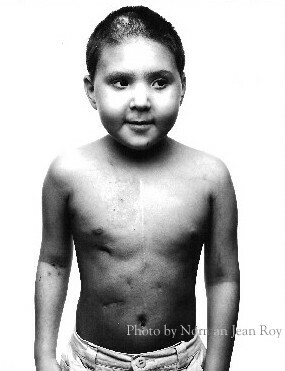 He received his transplant not long after Sam. Unfortunately he contracted an infection in his port recently and it spread to his bloodstream. I remember meeting this little guy in the parent kitchen on the BMT floor. He was a teeny tiny little thing and I really only briefly spoke with his mom to ask wether he was an FA patient when I noticed that he had misshapen hands and thumbs. We have since passed in the elevator and maybe on the BMT floor at times. I never really talked to her much after that but I have spent the last few days crying, grieving and praying for her and her family. Her little dude was the same age as Joe and I am trying to keep from crying every time I look at him today knowing that this mom and dad are making a decision to let their son go tonight. 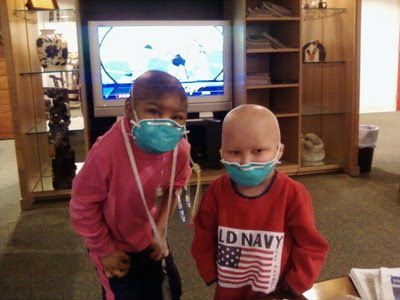 Please pray for them tonight as they do something that is unthinkable for any parent to have to do. The truth of the matter is that he was in the same place as Sam is on any given day. BMT is a lifesaving but very scary process and today FA is taking a young life. I’m sad and scared but grateful at the same time. Grateful that Sam is improving a little bit with the antibiotics and feeling a little better this afternoon. I am hugging my kids and counting my blessings and praying for another mom and family today.